Click here for more information from the City of Dallas about watering your lawn. Regular garbage and "bulky trash" pick-up is handled differently in BTW. Each is a service of the City of Dallas. Both the Grey Garbage bins and the Blue Recycling Bins will be emptied every Friday for our neighborhood. 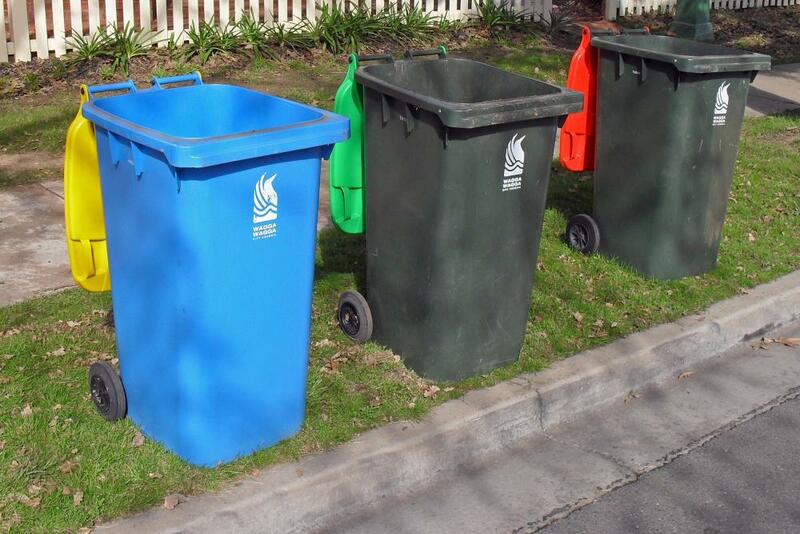 You should have both bins out at the edge of your driveway by 7:00 am on Friday mornings. It is against City of Dallas law to place large items or bulky trash out on the side walk in front of one's home more than 4 days prior to the pick-up week in question. In other words, no sooner than the Thursday before the Monday of the pick-up week. Violators can be - and often are - FINED by police and/or codes inspectors for violations of this city code. The City will issue you a free blue rolling cart to hold your recyclables. To request a rolling cart, contact the City at 214-670-5111 or 3-1-1, or visit the City of Dallas Recycling website. Recycling is easy! There is no need to separate glass from plastic or paper. Just toss all the recyclable materials into the cart and place it by the alley. Paper products may also be placed in the recycling bins located in the parking lot at Mitchell Elementary School at the corner of Voss and Briargrove. To find out where to recycle electronic and computer equipment, paint and household chemicals, or other hazardous materials, consult your BTW Directory or visit the City of Dallas Recycling website. Also, note that UPS stores will accept Styrofoam packing (solid or “peanuts”) for recycling in any of their stores. This material lasts virtually forever, so please try to keep it out of our landfills. Plastics, glass, and cans should be rinsed. Lids are not recycled. Aerosol cans should be empty. 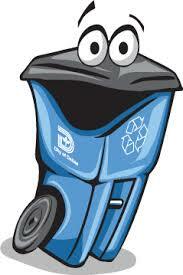 Bulky trash and large items that cannot fit into the containers with rollers are picked up only once per month. Items of this sort must be placed on the sidewalk in front of your house. Monthly pick-ups occur beginning at 7am on the first Monday of each month. Watch for the reminder signs which will be posted around the neighborhood. This link takes you to an interactive city map where you can input your specific address and get the exact information on garbage days for your address, recycling day, etc.